I am not sure if it is the soft texture or the flavors that just melt in your mouth but I absolutely love almost any kind of Jell-O. 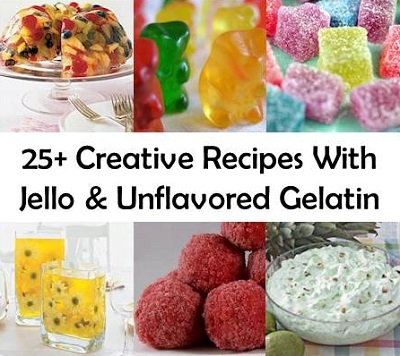 Here is a wonderful roundup on 25+ Creative Recipes With Jello & Unflavored Gelatin. Have a look through this list of delicious recipes as I am sure you are going to love them all. -Cut all the oranges in halve and remove all the orange sections. Set the Orange cups in muffin tins to keep them up right. -Prepare the gelatin one at a time according to directions. 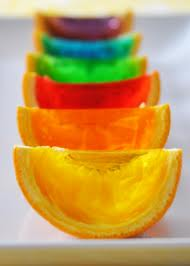 With each flavor fill 3 oranges. Until all 18 orange cups are filled. -Place muffin tins in fridge until the gelatin is fully set.